A moderate 2 mile hike along beautiful Cold Springs Creek leads to Tamanawaus Falls. 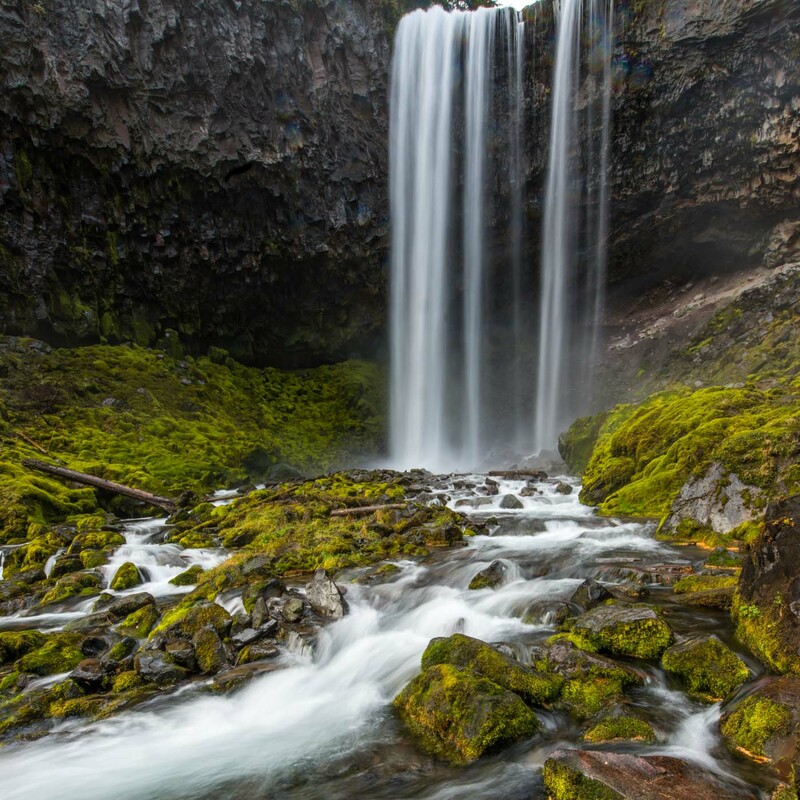 This waterfall fully represents most of what the Pacific Northwest has to offer: basalt cliff, moss covered rocks, clear cold water and predominantly Hemlock, Western Red Cedar and Douglas-fir forest. Nikon D800, 14-24mm, F11, .4 sec, ISO 100.